What’s the difference between sea otters and river otters? There are 13 species of otters in the world, with 12 of those species requiring access to freshwater and only one species residing in the ocean. Many species of river otter inhabit coastal areas and are sometimes confused for sea otters. 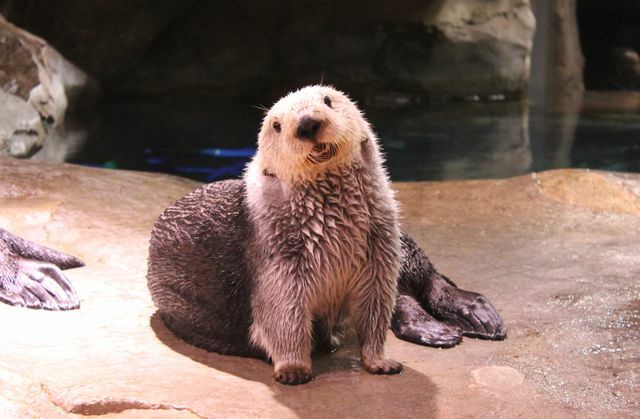 At Georgia Aquarium, we are home to two species of otter – Asian small-clawed otters and southern sea otters. Keep reading to learn more about what makes each of these species unique. As their name suggests, sea otters live in the sea! They’re found along coastal areas of the Pacific Ocean ranging from California to Russia, and spend a majority of their time swimming, eating, and sleeping in saltwater. Asian-small clawed otters can be found in India, China, and parts of Southeast Asia. While sea otters are found in the sea, Asian small-clawed otters are found in freshwater wetlands and mangrove swamps. At Georgia Aquarium, guests can see our southern sea otters in our Cold Water Quest gallery and our Asian small-clawed otters in our Southern Company River Scout gallery. Not all otters are created equal, especially when it comes to their size. Southern sea otters are approximately four feet in length and weigh on average between 45-65 pounds. Asian small-clawed otters are just the opposite. 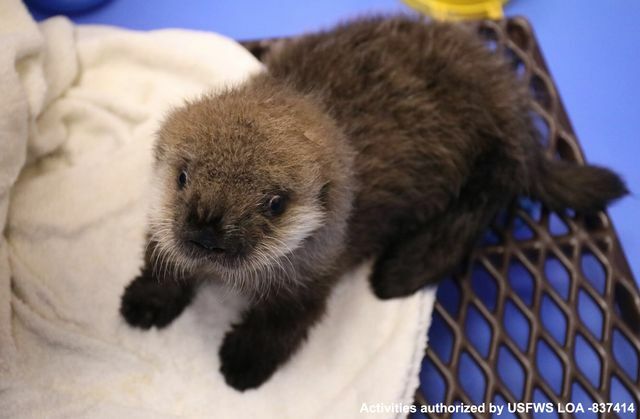 As the smallest species of otter, they range in size from 4.4 to 11 pounds, with a body length of only 16 to 24 inches, which makes them half the length of a southern sea otter! Since southern sea otters are found in cooler waters, it’s important for their fur to be able to insulate them from the weather. Sea otters must groom regularly to help maintain the insulation. They have the densest fur of all mammals at about 350,000 to 1,000,000 hairs per square inch. Asian small-clawed otters have relatively short hair that consists of two layers – a coarse, waterproof outer coat and a softer, finer layer that is used for warmth. While a southern sea otter’s fur maintains heat well in the cold water, their metabolism must work quickly to help keep the animal warm. Sea otters must eat 20-25% of their body weight to maintain their body temperature. Asian small-clawed otters spend more of their time on land than in water, which helps keep a stable body temperature. They spend time in the water foraging for mollusks, fish, frogs and crustaceans. While sea otters and river otters share many differences, they do share a major similarity – the threats they face in the wild. Southern sea otters are considered an endangered species, while Asian small-clawed otters are vulnerable. Both species face threats of pollution, habitat loss, and reduced food sources. 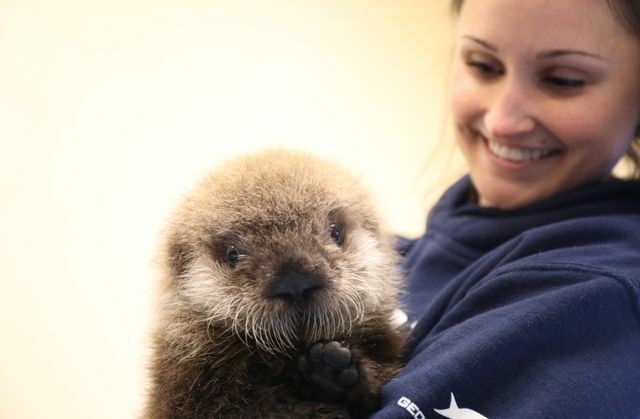 Georgia Aquarium, along with other zoos and aquariums, work tirelessly to educate and inspire guests, while providing our otters the best veterinary and nutritional care.